Everyone is so excited after they purchase Floriani FTCU. Now you can edit designs! You can change colors, you can resize the design, you can add elements to create a new design. Oh….and the thought of being able to digitize your own ideas is amazing! So you jump right in and install the program on your computer. You open the program and the workspace screen appears all grey and you think…now what do I do? I have this amazing digitizing program and I don’t even know what to do with it. It looked so easy when I saw the demo. But now, I can’t remember what to do. Oh, no! You click on a few icons, searching for some kind of activity to show up on the screen and nothing makes sense. Confused? Overwhelmed? So you close the program and think, “I will come back tomorrow when I have more time to figure this out”. And tomorrow, you come back and click around a bit more and a few things show up on the screen. Ok, now you are getting somewhere. Wahoo! 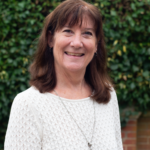 But you think, “I want to do ….xyz….and I wonder. How do I do that?” Hmmm…. Well, let me help you get started. Everyone wants to jump in and start tracing an image right away. But how can you do that if you don’t know how to use the stitch tracing tools or even where to find them. Oh and what about how to select a shape or resize a shape or change the thread color. There are basics that you need to learn first and it will make your whole process sooooo much easier if you know these tools before you start tracing! Here are some basics things you need to know first. Now you are ready to start digitizing your own images! Step Two: Make a plan – what shape do you trace first? Taking 10 minutes to make this plan will save you lots of headaches in the long run. It not only helps you to organize your design, but your design will also stitch in the correct order. You don’t want to trace the “eyes and nose” first and then find out that they stitch out underneath the skin color! Here are the basic digitizing steps to follow. Select your stitch tool from the top toolbar and use these 5 steps for every shape that you trace. Now you have just traced your first shape segment. You can repeat those same 5 steps for every segment of the image. After tracing and editing your design, you will want to save it in two kinds of files. Save the design first as a WAF file format. This is your “working” file. If you need to change the design later, open this file and make your changes and then re-save. When you are ready to embroider your design, save the design in whatever machine format that is read by your embroidery machine brand. It’s important to remember that a WAF file format contains all of your digitizing information. This is the file you will want to use to make any future changes to your design. These are the basic steps of How to Get Started tracing your first design. Of course, there may be some advanced editing that you may need to learn to do. The most important piece of advice I can give you is to practice, practice, practice and more practice! Find a simple design to start and move on to more complex images as you become more comfortable. Don’t try to digitize an image of your dog that has a million colors and shading for your first design. Especially when you are first starting to learn to digitize. Start SIMPLE and build your skills and you will be successful! 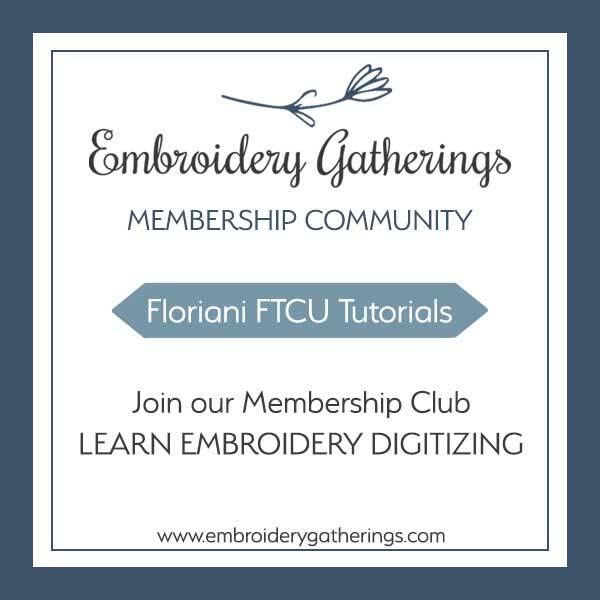 Would you like step-by-step written lessons and videos to help you get started practicing Floriani FTCU? 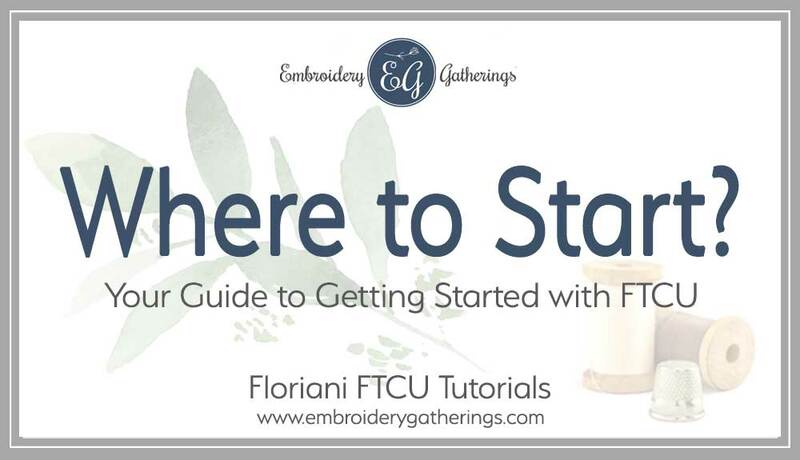 You can find over 75 written lessons and videos in the Embroidery Gatherings Membership Club. One of the best reasons to join the community, is to have a place to ask your questions and get answers right away. Click here to join and get started right away! If you would like a free PDF copy of this lesson, please fill out the form below and it will be emailed to you!